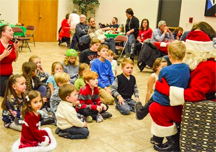 The Basque Club of Utah held its Christmas celebration on December 5th complete with a visit from Santa. The event took place at St. Vincent’s Benvegnu Center, 1375 East Spring Lane in Holladay. Dinner was potluck with members bringing a dish to share, and the club dancers also performed. To see how much fun they had, enjoy the photos on their website, or visit them on Facebook. 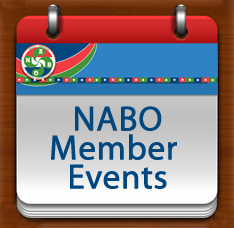 The Chino Basque Club will be holding its Christmas Party on Sunday, December 20th at noon. Paella and Lamb chops will be served. Cost for non-members is $30 as this is their way of thanking all of their active members, dancers and klika for all that they contribute in time and talent. Santa will also visit with gifts for the children. 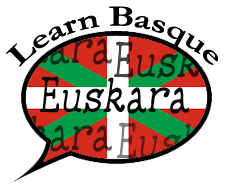 There will also be a special Basque mass for on Christmas Day at 10am at St. Margaret Mary. If you would like to be part of it, please email Jeanette Duhart. The New England Basque Club will be celebrating its Santo Tomas/Christmas party on Saturday, December 19th in Middletown, RI. The event will take place at the Knights of Columbus (7 Valley Road, Middletown RI 02842) from 4-9pm. There will be a potluck dinner to enjoy, as well as raffle for Spanish products, Basque Christmas Carol singing and a Mus tournament after dinner. The Olentzero will stop by to see what the little ones might want for Christmas, and there will also be some holiday-themed arts and crafts. To register for the Mus Tournament please email. As always, a $10 donation will be requested per person to help sustain the NEBC activities. For complete information visit them on Facebook.